Children are encouraged to attend any service with their family on Sunday mornings, but (if needed) childcare is available for children under 8 years old from 8:30 to 12:30. 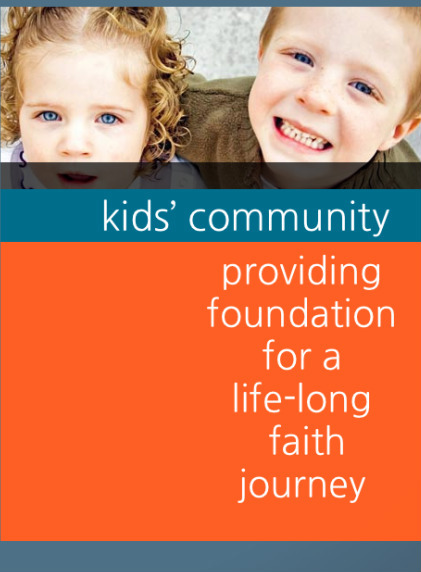 From 9:55-10:55 from we have Kids’ Community classes for children ages 3 year olds through 6th grade. Middle School and High School youth groups are offered during the same time period. We take a break in summer. Join us for a "roar"ing good time at Vacation Bible School this summer, July 22-25 from 9am to noon. At Roar, kids explore God's goodness and celebrate a ferocious faith that powers them through this wild life. A suggested donation of $20 per child is requested. Click here to register.